Mariners of yore would certainly be more familiar with machinery like marine steam engine valve gear, though the rest of us would surely be interested to know more about it. Actually reciprocating steam engines have now literally been made obsolete and current ships either operate on marine diesel engines or steam turbines. Still it's worth discussing the marine steam engines as they laid the foundation of steam powered sea travel and deserve their rightful place in the heritage gallery. 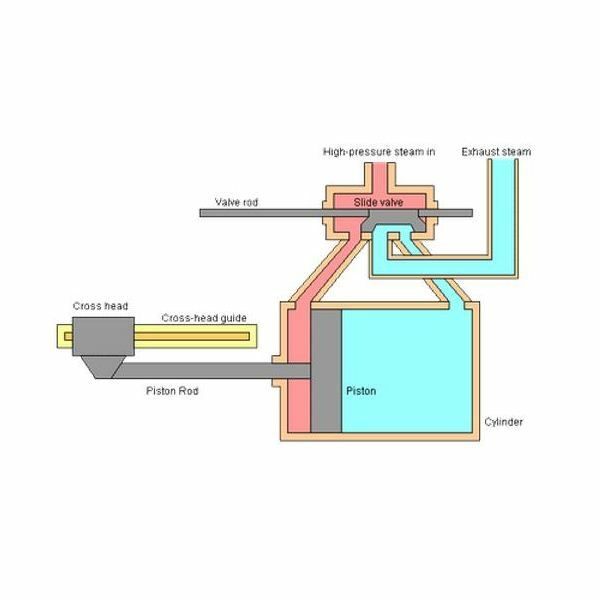 The purpose and operation of a steam engine valve gear arrangement is pretty straight forward – to allow for the entry and exit of steam at the right time. 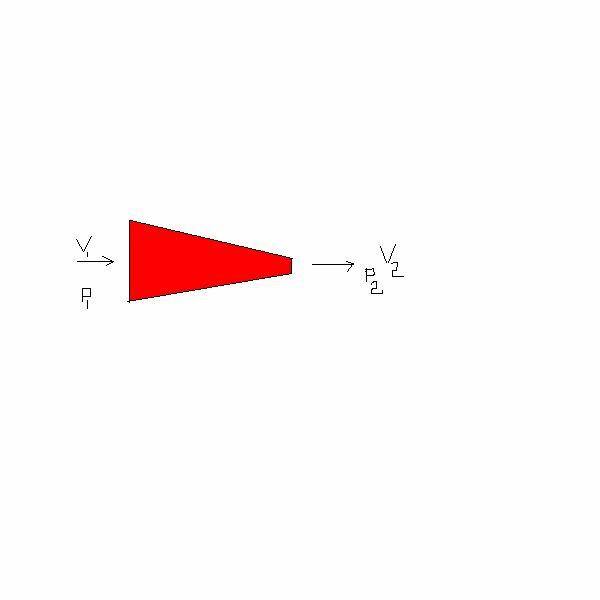 As you must be aware the basic principle of a reciprocating steam engine is quite simple. 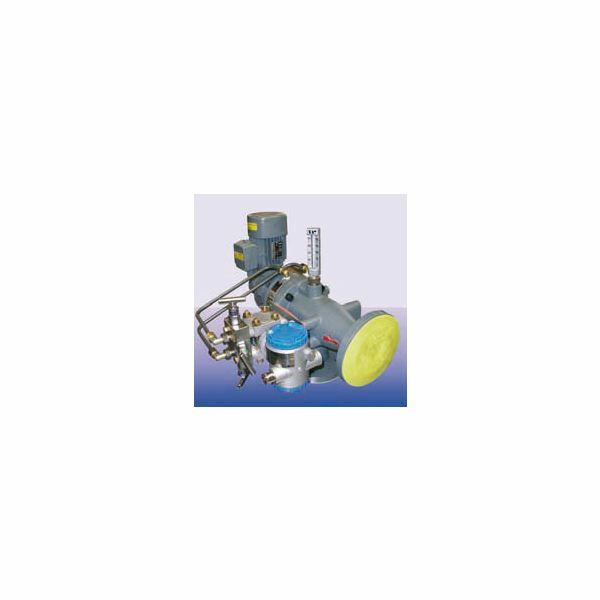 It has a piston cylinder arrangement wherein the high pressure steam make the piston move in a to-and-fro pattern, and this reciprocating motion is converted into rotary motion at the outlet, which is then passed on to the propeller of the ship or the water craft. The image of a marine steam engine at left should make it easier to decipher what is stated above. 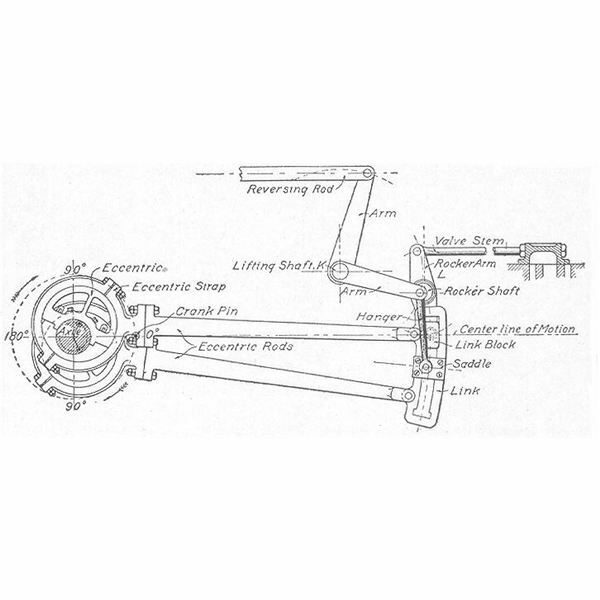 Apart from that, just take a look at the sketch below which describes the working of the steam engine and makes the purpose and operation of the valve gear very clear. 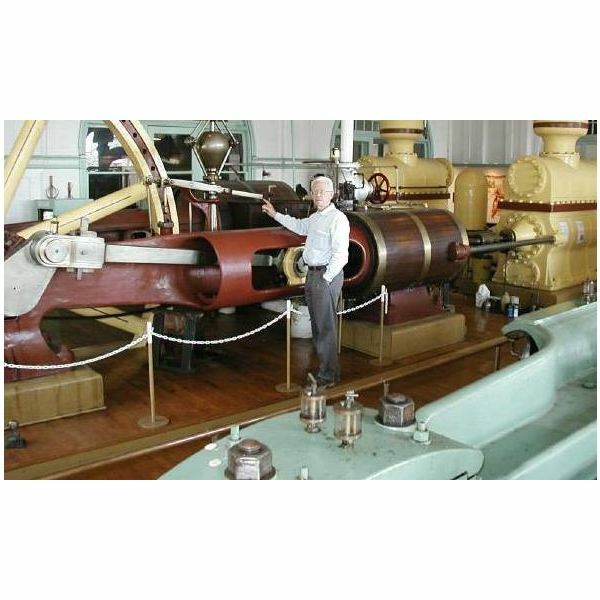 Of course steam engines come in various types and this is just a generic arrangement which would help you understand the operation and purpose of the marine steam engine valve gear arrangement. The valve gear operates in such a manner that high pressure steam enters the cylinder and lets the piston move to its maximum possible distance. After that, the reverse motion has to start and this steam now has to be exhausted. All this is taken care of by the valve gear arrangement which is very simple, yet equally elegant in principle. 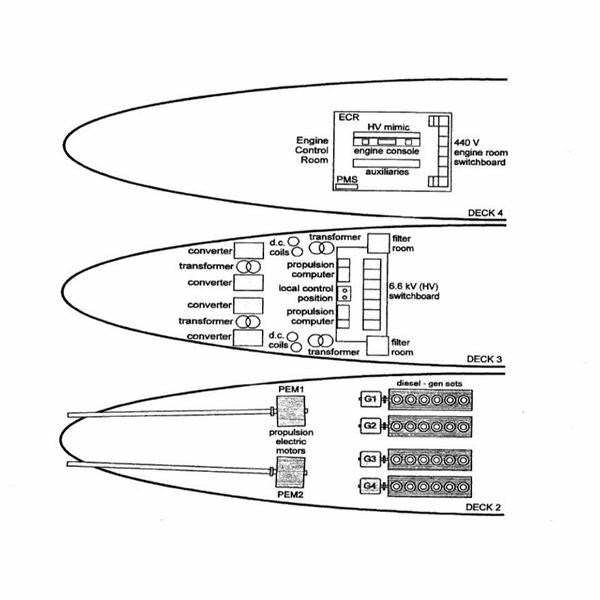 Yet this explanation is only sufficient to give a demonstration of the basic working concept of the valve gear. 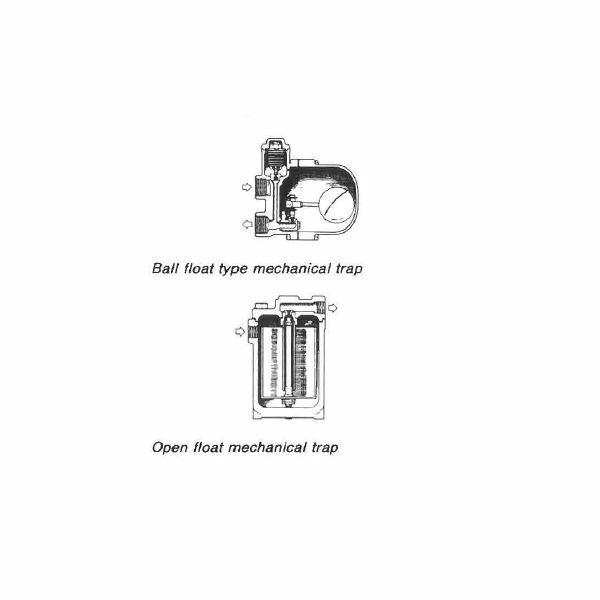 In actual practice, a marine steam engine valve gear arrangement could consist of several variations including, but not limited to, some of the following. It would not be possible to describe the specific functioning and design of each of these valve gears, but will chose one of these at random and study more details about it. Let us choose the Stephenson valve gear which was used extensively for marine engines in the past, apart from being used in locomotives. The figure is fairly self-descriptive and it can be seen that it consists of various parts such as the reversing lever, rocker arm, eccentric and so forth. The main point to be taken care of in this arrangement is the setting of the valves which is not difficult, but needs careful forethought and the adjustment of the valve rod length prior to that. 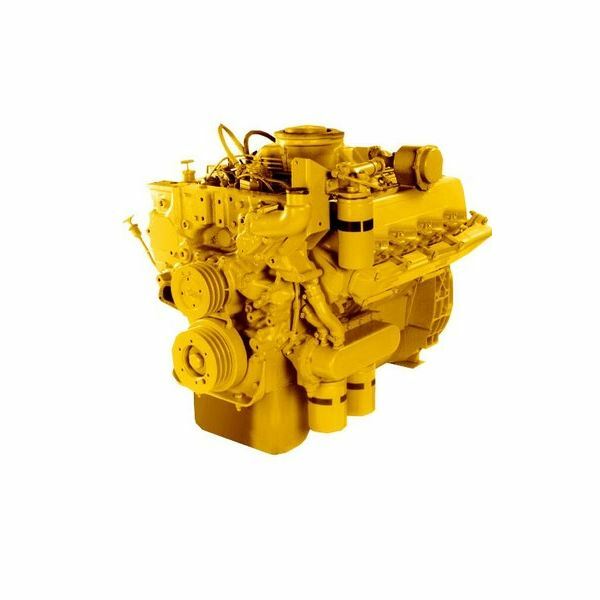 Marine Diesel Engines by D.K. Sanyal.